Phew! It’s been crazy busy around here. I’ve had a very busy social schedule runnig around saying goodbye to my friends and family and getting ready for the big move this coming weekend. I’m so excited but it is bittersweet to say goodbye to people I care about. But here come new adventures!! Good thing I already have a lot of friends in DC! I’ve been recruiting people to help me load up the truck on Saturday. Many hands make light work and I just have to furnish a coffee traveler and a box of doughnuts or bagels and cream cheese. A well fed and caffeinated crew makes a move pleasant and quick 🙂 Plus I get to see people again and say goodbye. 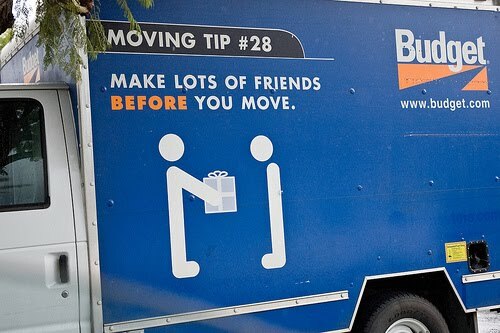 I have helped tons of my friends move and I always enjoy the opportunity to work together and have a little fun while we are at it.